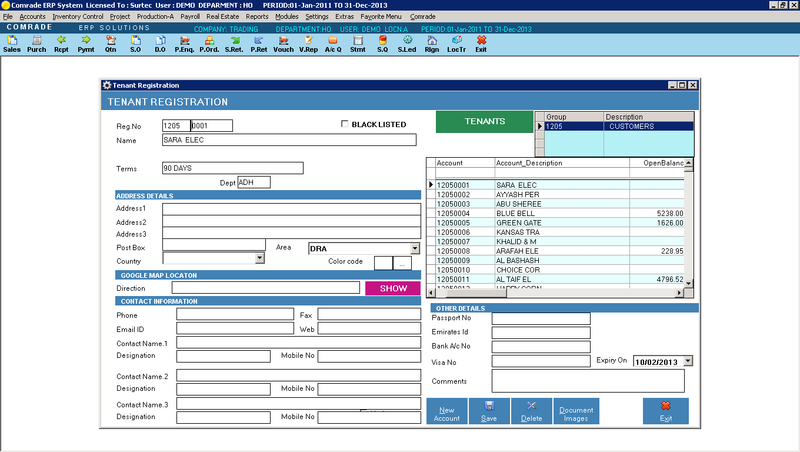 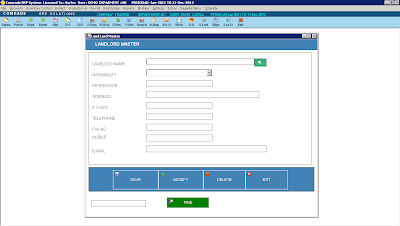 Comrade Accounting Software, Dubai Comrade ERP Software is a very useful software for Real Estate companies. 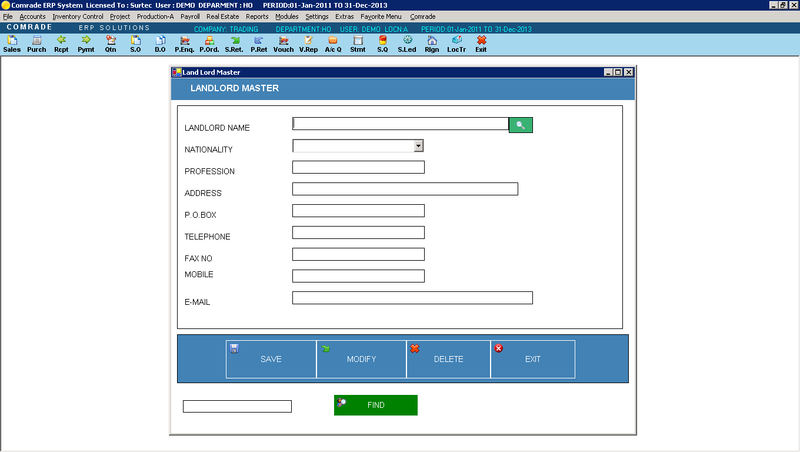 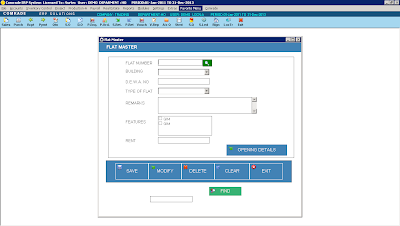 Building, Flat, Tenant masters can accept unlimited images. Dash board Control for Job control. 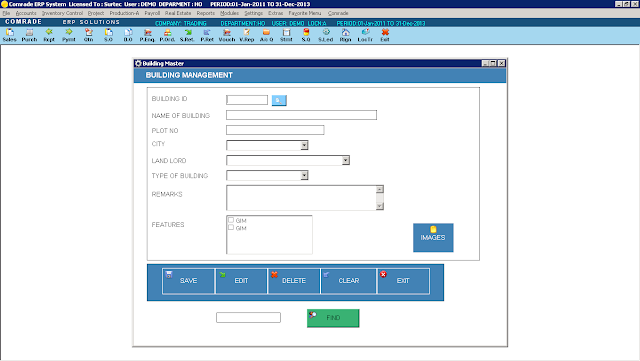 Job Costing and Post dated cheque control. 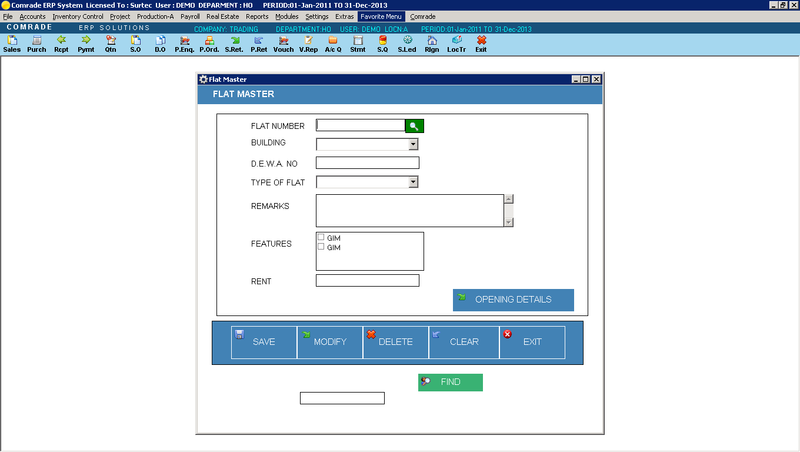 Job costing reports also available by flatwise and building wise. 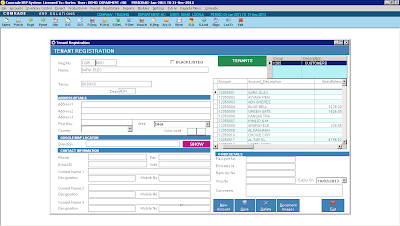 M/s Khalifa Lootah Group of Companies recenty installed the Comrade ERP system for their property management.